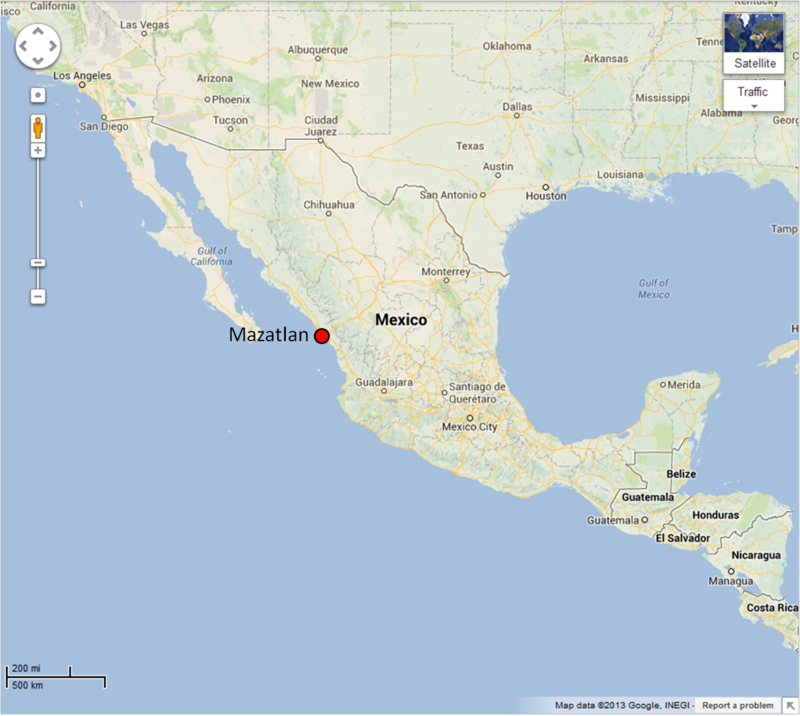 Mazatlan is located at Sinaloa State in the Northwest Region of Mexico on the Pacific Coast, almost directly across from the tip of the Baja California peninsula. Is one of the Mexican Riviera’s premier resort areas and its remarkable scenic beauty is complemented by a delightful festive atmosphere and a wealth of exciting activities. Although Mazatlan is one of Mexico’s most popular vacation destinations, it has another identity as the largest fishing port in Mexico. The most important shrimp fleet of the Mexican Pacific is located here, with a bustling economy independent of the tourism industry. The City is concentrated in two areas: In the north, there is the Zona Dorada (Golden Zone) where the majority of hotels and restaurants are located. In the south there is El Centro (downtown), also known as Old Mazatlan, that is the heart of the cultural activities in Mazatlan. These two areas are linked by Avenida del Mar, also known as the Malecon, which is a scenic beach-front avenue that bridges the gap between the two areas. Mazatlan is the main fishing port of Sinaloa and the second most important at national level, counts on a length of dockage of 2684 meters of which 334 m are destined to the tuna fleet operations, 465 m for small pelagics and 1885 m for shrimp. The fishing fleet of Mazatlan counts with more than 500 ships focused on shrimp fishery, 30 ships focused on tuna fishery, 10 for sardines, 24 for demersal fishes and shark, and around of 10,000 boats dedicated to the near shore shrimp fishery. Mazatlan catches the 69 % of the national production of tuna and around 37 % of the shrimp. In the industrial section of the city there are the 16.2% of the industrial marine plants of Sinaloa dedicated mainly to the shrimp processing, tuna and sardine. Of each 10 tins of tuna that are consumed in Mexico, 6 are produced in Mazatlan. Also Mazatlan has an important sport fishing industry. The sport fishing fleet of Mazatlan is the second largest of Mexico after the one at Los Cabos. Moreover, the state of Sinaloa is one of the main states in the country’s most important aquaculture region, with more than 1350 hectares destined to culture farms, mainly of white shrimp. There are 5 academic Institutions in Mazatlan focused on marine investigations and fishing sciences: 1) Instituto de Ciencias del Mar y Limnología de la Universidad Nacional Autónoma de México (Institute of Marine Sciences and Limnology); 2) La Facultad de Ciencias del Mar de la Universidad Autónoma de Sinaloa, (Faculty of Marine Sciences), 3) El Instituto Tecnológico del Mar (Marine Technological Institute); 4) el Centro de Investigación en Alimentación y Desarrollo en Acuicultura y Manejo Ambiental (Research Center in Feeding and Aquaculture Development and Environmental Management), and 5) El Centro Regional de Investigación Pesquera (Regional Centre of Fisheries Research). 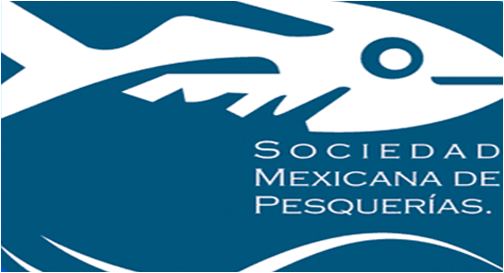 Also the Federal offices of Comisión Nacional de Acuacultua y Pesca (National Commission of Aquaculture and Fisheries) are based in Mazatlan. These institutions lodge around 110 investigators focused on subjects mainly related to marine and fishing sciences for the coastal states of Sinaloa, Sonora and Nayarit in Mexico. Mazatlan has a warm tropical weather. The weather is very pleasant from November until May. In the summer it gets a little warm by some standards.